As part of the Grace Gathering, a surprise guest, the Rev. 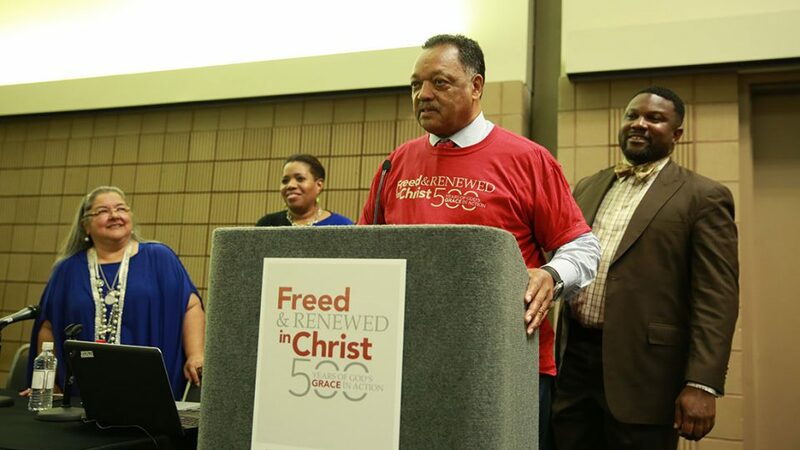 Jesse L. Jackson Sr., shared remarks at an afternoon session “From Doctrine of Discovery to #BlackLivesMatter” with the African Descent Lutheran Association. 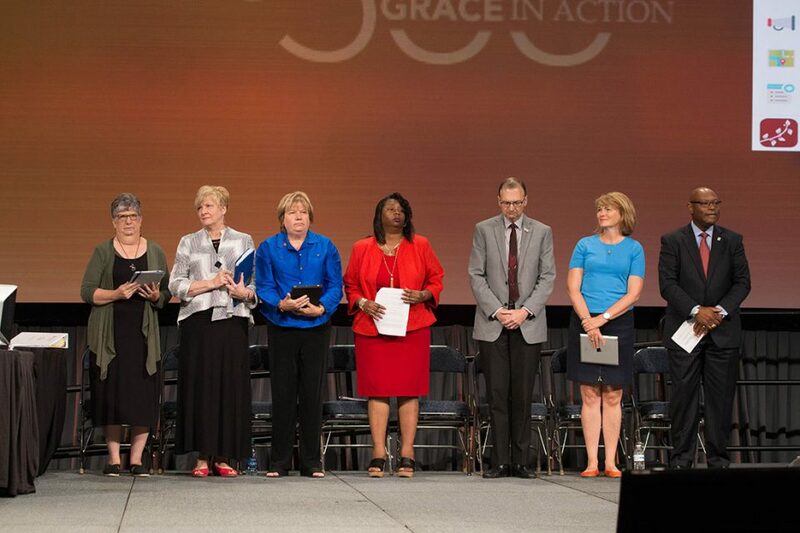 The seven nominees for ELCA vice president participate in a question-and-answer session with voting members of the ELCA Churchwide Assembly. Pictured are Nanette Dahlke (left), Gwen Arneson, Cheryl Stuart, Tracey Beasley, Thomas Madden, Becky Blue and William Horne. 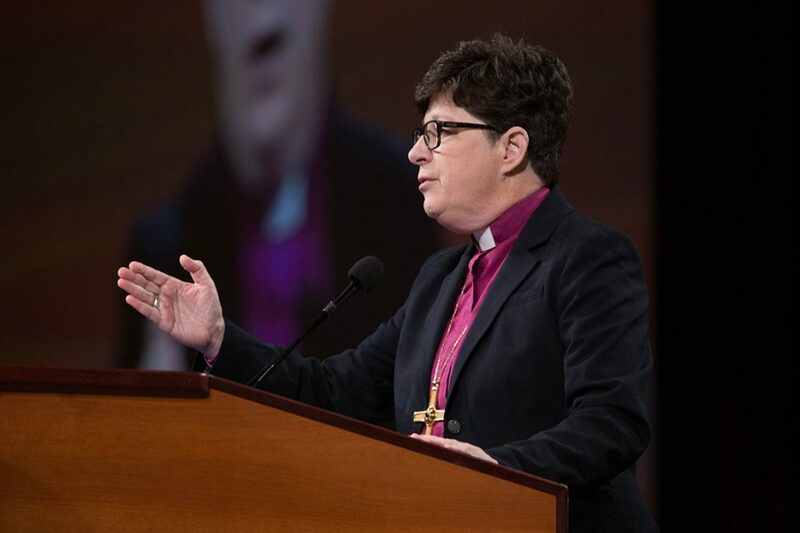 “In baptism we have all been marked with the cross of Christ, and are all called not to run away, but to run to those dark and deadly places, bringing the light and life of Christ,” said Presiding Bishop Elizabeth Eaton in her report to the assembly. 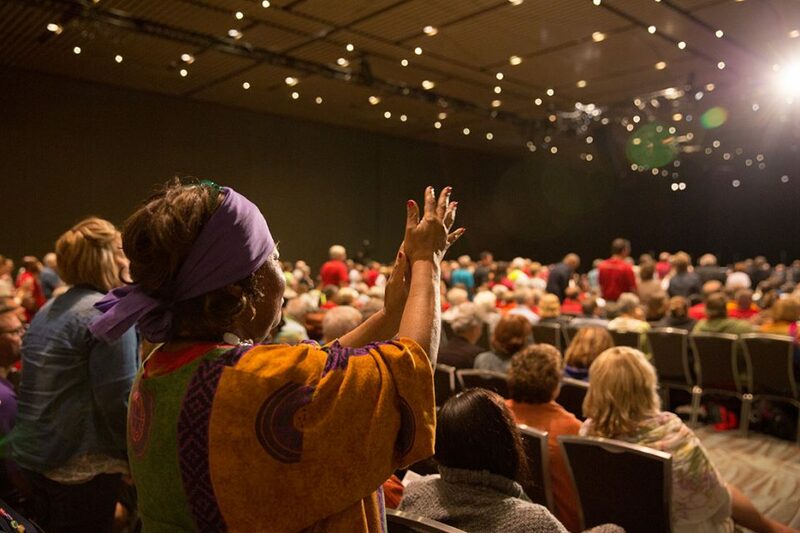 Voting members, Grace Gathering attendees and guests participate in worship. 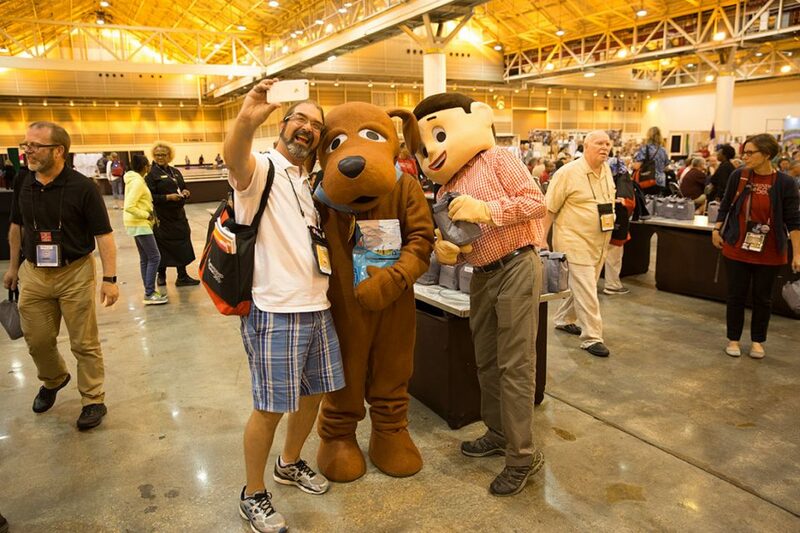 Davey and Goliath stopped to pose for selfies with voting members and guests during lunch.